Tullio Levi-Civita (29 March 1873 to 29 December 1941) has been an Italian mathematician and mathematical physicist, known above all for his work on the absolute differential calculus. Levi-Civita came from a rigorous and creative school of mathematical physicists and was a pupil of Gregorio Ricci-Curbastro. Levi-Civita’s work included outstanding results in pure and applied mathematics and in celestial and analytic mechanics but also celebrated textbooks. These last, even those written in Italian, have influenced mathematical physicists all over the world. Levi-Civita has perfected some conceptual tools of great importance in modern science, particularly in general relativity, number theory, and continuum mechanics. Tullio Levi-Civita was born in Padua on 29 March 1873 to Bice Lattes and Giacomo Levi-Civita. His father Giacomo was an Italian patriot and had been following Garibaldi even in the unlucky campaign of Aspromonte, thereafter graduating in Law at a young age in Pavia. He then took part also to the 1866 campaign as a volunteer in the corp led by Giuseppe Garibaldi, earning at the battle of Bezzecca a distinction for his value. Soon after the liberation of Veneto in October 1866, he started his professional activity reaching eventually a widely recognized reputation in Civil and Commercial Law. It is indeed thanks to his ability as a lawyer that the municipality of Padua could acquire the Scrovegni Chapel, with frescos by Giotto dating back to the fourteenth century. Giacomo Levi-Civita had also been a counselor of the municipality of Padua from 1877, the mayor of Padua between 1904 and 1910, and a senator of the Kingdom of Italy since 1908. A bust of him by the Paduan sculptor Augusto Sanavio has been placed in the council chamber of the municipality of Padua after his death. According to Ugo Amaldi, Tullio Levi-Civita drew from his father firmness of character, tenacity, and his speculative mentality. It is in his father’s house that Levi-Civita made his first studies – gaining a humanistic education – guided by an erudite Catholic priest, Professor Padrini. According again to Amaldi, Tullio Levi-Civita received from his mother Bice Lattes, a gentle and kind woman who always surrounded him with the most devout and delicate tenderness, assiduous care of an affectional education. Starting from 1885, Levi-Civita attended the high school Tito Livio in Padua. He graduated in mathematics in 1894 from the University of Padua. There, he had among his teachers Gregorio Ricci-Curbastro, mathematician and physicist with whom he would later collaborate in the development of tensor calculus, the conceptual basis of Einstein’s general theory of relativity. In the same years, the mathematician Ernesto Padova was his teacher of rational mechanics. After his graduation, Levi-Civita spent a period of specialization in Bologna, where he met Federigo Enriques: their friendship dates back to this period, and it is well documented by the letters which Enriques exchanges with Guido Castelnuovo. Then Levi-Civita taught in Pavia at the Faculty of Sciences. Indeed in 1896, he is at the University of Pavia as the winner of a professorship in its Scuola Normale Superiore, annexed to the Faculty of Science. In Pavia, thanks to Carlo Somigliana, he tightens his relationship with Vito Volterra, who will guide him through the first steps of his scientific career. Indeed, Volterra communicates to the Accademia delle Scienze di Torino Levi-Civita’s Note “On the algebraic integrals of dynamic equations,” initially intended for the Rendiconti di Palermo. The appreciation of his work is so gratifying as to induce the (still shy, he is only 23 years old) Levi-Civita to anticipate the publication of one of his best known results in the field of analytical mechanics. We refer to the Memoir “On the transformations of dynamic equations” which, due to the importance of the results and the originality of the proceedings, as well as to its possible further developments, has remained a classical paper. In 1897, being only 24, Levi-Civita became in Padua full professor in rational mechanics, a discipline to which he made important scientific original contributions. Together with his scientific innovative research, Levi-Civita had a true vocation to teaching as it is proven by his celebrated university treatise written in collaboration with Ugo Amaldi. In 1903, Levi-Civita received the gold medal from the Accademia degli XL and, 4 years later, the Royal Award of the Accademia Nazionale dei Lincei. The really strong affection of Levi-Civita’s mother for her son seems to have prevented his transfer to the University of Rome at the chair of rational mechanics in 1909. This is proven by a letter dated 24 August 1909 sent by Guido Castelnuovo. From that letter, it is quite evident the author’s intention to support a possible transfer of Levi-Civita to Rome, after the death of Valentino Cerruti. Moreover in November 1909, Pietro Burgatti writes to Roberto Marcolongo, strongly interested to become the successor of Cerruti. I understand from your letter that you are disheartened, and I am sorry, I urge you to stay in the breach: because victory cannot be absent. The hostility of the Jews was well known to us and should not discourage you at the time of the battle. They hope in Levi-Civita, and perhaps now they will force him to accept what he had refused: but if he (or rather his mother) persists in refusing, the Jews will have to resign themselves to see you in Rome. It is quite straightforward to understand, from the extract of the letter reported above, the strong influence which is attributed to Bice Lattes on her son’s decision. It as well clear that the term Jews, used to indicate probably Castelnuovo and Volterra, shows that the Italian university system, as for 1909, already represented a fertile ground for the future fascist anti-Semitism. In April 1914, Levi-Civita married Libera Trevisani, one of his pupils. Later, in 1918, he was nominated full professor in Higher Analysis at the University of Rome “La Sapienza”: he remained in Rome until his death. 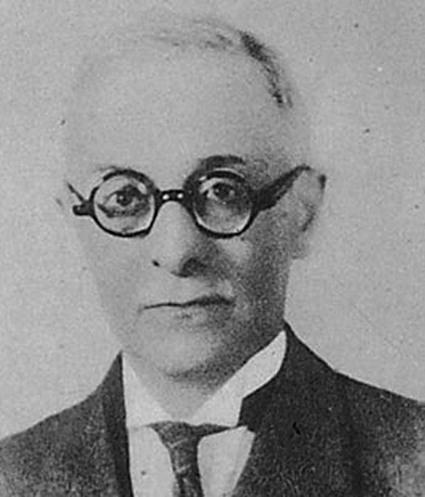 From 1921 he held the chair of Rational Mechanics, until when, in 1938, he was removed from teaching and expelled from all national scientific academies by anti-Semitic laws: these decisions were taken by the office for racial discrimination (due to the so-called laws for the defense of the race) of the fascist government because of his Jewish origin. At that time he had received numerous invitations from international scientific institutions, which he had for a large part to decline because of health reasons. The British Royal Society awarded him the Sylvester Medal in 1922 and raised him to the rank of foreign member in 1930. Pius XI, in contempt of the laws of the fascist regime, appointed him as a member of the prestigious newly established Pontificia Academia Scientiarum, allowing him to have a salary and to continue his studies in Italy. Eventually, the health of Levi-Civita worsened, leading to his death in 1941 due to a heart attack in his apartment in Rome. Levi-Civita had been a member of all the major national and of many international scientific academies. He was also an honorary member of the London Mathematical Society, the Royal Society of Edinburgh, and the Edinburgh Mathematical Society, for which he held a seminar at St Andrews University. Before its dissolution decided by Mussolini, he had been a member of the Accademia dei Lincei. Guido Castelnuovo, president of the reborn Accademia dei Lincei, aiming at inaugurating the post-war recovery of the academic activities with the commemorations of Vito Volterra and Tullio Levi-Civita, which the racist laws of fascism had prevented from being held (in 1940 and 1941, respectively), turns to Carlo Somigliana asking him to write a memoir for Tullio Levi-Civita. Unfortunately Somigliana refuses: indeed in a letter to Carlo Somigliana, dated 27 February 1946, Guido Castelnuovo writes: << […] I regret that you do not feel like reading the commemoration of L[evi]-C[ivita]. I will address to Signorini, but I had preferred the illustrious and dear friend to be commemorated by a person with your authority.>>. Castelnuovo turns then to Antonio Signorini, who also refuses. Finally, Ugo Amaldi, already committed to write his friend’s praise for the Pontificia Academia Scientiarum, took up the honor of commemorating Levi-Civita at the Accademia dei Lincei on 16 December 1946. The early scientific production of Levi-Civita is focused on fields of the mathematics which characterized the late nineteenth century. Initially, he dedicated his studies to non-Archimedean fields. Under the influence of G. Veronese, Levi-Civita came to a purely analytical construction of the first example of a non-Archimedean field structure (Levi-Civita, 1893). We believe that, even if the involved technicalities are not directly related to the future development of general relativity, these first investigations prepared Levi-Civita to the important step to be done in order to understand aforementioned revolutionary part of modern mathematical physics. Levi-Civita in these works learned to discuss the basic axiomatics of a mathematical theory and to investigate the changes induced in the novel theory by the choice of a nonstandard coherent set of axioms. Excluding some works concerning the study of functionals e.g., Levi-Civita (1895), the research of Levi-Civita prior to 1900 is largely related to the absolute differential calculus introduced by G. Ricci-Curbastro, of whom Levi-Civita was a student at the University of Padua. Since his degree thesis (Levi-Civita, 1893–1894), Levi-Civita began to develop tensor methods, especially in relation to their applications in mathematical physics (see Lebedev et al. 2010 for a beautiful discussion of their applications in continuum mechanics). He achieved, in particular, the solution of some important problems, such as the determination of corresponding systems of dynamic equations (Levi-Civita, 1896) and that of the classification of the so-called binary potentials (Levi-Civita, 1899), i.e., types of potentials which can be made dependent upon two coordinates only. The topical contribution of this first period of Levi-Civita’s research on tensor methods, in collaboration with Ricci-Curbastro, is the memoir Méthodes de calcul différentiel absolu et leurs applications (Ricci and Levi-Civita, 1900), which is to be considered the most famous treatise on tensor analysis in the pre-relativistic period. In this memoir, a novel mathematical theory based on the results by Elwin Bruno Christoffel is fully developed: tensor calculus. His studies, together with Ricci-Curbastro, on the absolute differential calculus with coordinates, were subsequently elaborated in geometrical terms with the introduction of the covariant differentiation. In this way a fundamental mathematical tool was elaborated, which supplied the basis of the mathematical structure of Einstein’s general theory of relativity, which was formulated 15 years later. It is therefore not surprising that Levi-Civita immediately appreciated the enormous impact of Einstein’s theory and contributed to spread it in Italy. Levi-Civita’s research was not limited to abstract subjects. He dedicated a lot of attention also to applied problems in analytical dynamics: in particular, he examined the three-body problem. On this topic he worked together with his future wife Libera Trevisani. Moreover he also wrote papers on hydrodynamics and systems of partial differential equations. His main contributions in the three-body problem concern the qualitative study and the analysis of singularities of equations of motion. Through the introduction of the so-called method of stable transformations, he further developed some of the techniques introduced few years earlier by J.-H. Poincaré (Levi-Civita, 1899), remarkably obtaining the demonstration of the instability of a particular class of periodic solutions to the restricted three-body problem (Levi-Civita, 1901). Levi-Civita deepened successively between 1903 and 1916 the study of singular motions by modeling, in particular, collisions (see Levi-Civita 1903) and studying the possibility of eliminating the singularities of the equations of motion. In the latter area, he came to the regularization of the equations of motion in the three-body problem, still keeping their canonical form (before the results of Sundman 1909) in the narrow case (Levi-Civita, 1904) and, subsequently, in the flat case (Levi-Civita, 1915) and finally in the general one (Levi-Civita, 1916) (see Levi-Civita 1918a and Dell’Aglio 1993 for overall expositions). Other fundamental contributions of Levi-Civita in mathematical physics are to be traced to the period which he spent in Padua. These contributions are mainly studies on interesting mechanical problems, with particular regard to the theory of stationary motions (Levi-Civita, 1906), on hydrodynamics – especially on the theory of contrails (Levi-Civita, 1907a) – and on various aspects of the theory of electromagnetism (Levi-Civita, 1907b) and of that of potentials (Levi-Civita, 1909). In the last phase of the Patavian teaching period, Levi-Civita dealt with relativistic theories; the interest in this topic was favored by the adoption by Albert Einstein of the absolute differential calculus. When in 1915 A. Einstein elaborated the definitive formulation of the equations of the gravitational field, Levi-Civita returned to the themes of tensor analysis. In this period, his main contribution to the development of modern differential geometry lies in the introduction of the notion of transport by parallelism on a Riemannian manifold (Levi-Civita, 1917a). Such a notion will be the premise for many of the subsequent developments in the field in mathematics and physics. Levi-Civita was the main spokesman of the theory of general relativity in Italy, promoting its diffusion (Levi-Civita, 1918–1919) and carrying out active research on the theme. He indeed focused on the study of the integration of Einsteinian equations in the static case (Levi-Civita, 1917b, 1918b) and on refraction and reflection in relativistic optics (Levi-Civita, 1931a), and finally – in the last years of his life – he carried out research in relativistic celestial mechanics (Levi-Civita, 1937, 1950). His last period of research, i.e., during his stay in Rome, includes some important researches in the field of geometry, mainly concerning the study of geodetic deviations (Levi-Civita, 1926) and, in the field of hydrodynamics, mainly focusing on irrotational waves (Levi-Civita, 1925a). In the Roman period, moreover, Levi-Civita developed some mathematical aspects of quantum physics regarding the theory of adiabatic invariants – of which he developed the first systematic treatment after the initial studies of P. Ehrenfest and JM Burgers (Levi-Civita, 1928a) – leading him to a formal interpretation of the wave/corpuscle dualism (Levi-Civita, 1934). Levi-Civita wrote many celebrated textbooks. The treatise based on his lectures of rational mechanics (Levi-Civita and Amaldi, 1923) written in collaboration with U. Amaldi is particularly famous, as well as his book dealing with issues of classical and relativistic mechanics (Levi-Civita, 1924). It is furthermore worth to mention the lectures of absolute differential calculus (Levi-Civita, 1925b), the book on fundamentals of relativistic mechanics (Levi-Civita, 1928b), and the text dealing with the characteristics of differential systems and wave propagation (Levi-Civita, 1931b). In the development of science, the continuity between the Maestro and the Pupil in academic institutions is of great importance. Unfortunately, the life span of a scientist is not long enough for assuring the achievement of ambitious results. It is therefore essential, in order to give continuity to the research activity, that strong personal relationships are established between elder scientists and younger ones, so that the most important scientific challenges, which are started by a generation, are continued by the following ones. The greatness of Levi-Civita’s contributions cannot be appreciated fully if one does not understand the choral, intergenerational, efforts which were finally achieved by Levi-Civita, the representative, in his generation, of a prestigious lineage of mathematicians. When personal contact between the Maestro and the Pupil is lost, and the transmission of knowledge is based only on the reading of difficult textbooks, then the understanding of the importance of scientific challenges confronted by previous generations risks to be lost. Levi-Civita was not an isolated scientific personality. As we have already remarked, he was acting in a very vivacious academic environment. One has to remember the quoted contact which he had with Volterra, Somigliana, Enriques, and Castelnuovo and the strong interaction with his Maestri, i.e., Padrini, Padova, Veronese, and, most importantly, Ricci-Curbastro. Indeed, there is a direct lineage of Italian mathematicians starting from Gabrio Piola and leading to Ricci-Curbastro and Levi-Civita. The Italian school of mathematics was refounded, during the nineteenth century, by the revolution imposed by the Napoleonic reforms of the Italian Napoleonic State (for more details see dell’Isola et al. 2016). The initiators of this lineage can be considered Vincenzo Brunacci and his pupil Gabrio Piola. Despite the fact that he did not accept a university chair among the several ones which were offered to him, Piola was a venerated Maestro of several famous mathematicians of his epoch. Piola’s scientific activity is witnessed by his works (see dell’Isola et al. 2014, 2019) and by the affection of his own pupils, among which we cite Francesco Brioschi, who was the founder of the Politecnico di Milano and the editor of Piola’s posthumous works. On his turn, Brioschi was the scientific mentor of both Enrico Betti and Eugenio Beltrami. The lineage continues with Ulisse Dini, who was the pupil of Enrico Betti, succeeding him as holder of the chair of mathematical analysis and geometry at the Università di Pisa. Finally Gregorio Ricci Curbastro was probably the most creative pupil of Ulisse Dini, Eugenio Beltrami, and Enrico Betti. As we have already reported, Tullio Levi-Civita was a pupil of Gregorio Ricci Curbastro, and they both co-authored the fundamental work which introduced the absolute tensor calculus. One can say that Napoleon expressed a wise appreciation of the Italian mathematical school and that this appreciation was not only formulated with pompous words but also with an effective financial support of Italian higher education institutions and by an effective control of the choices performed by these institutions, in particular, when hiring new professors. It was the support given by Napoleon to the Italian school of mathematics which eventually lead to the birth of the absolute tensor calculus, among many other intellectual achievements. Levi-Civita, one of the inventors of the absolute tensor calculus and probably the most creative one, was removed from his university chair in Rome by Mussolini’s racial persecutions. The representatives of Italian mathematicians declared that Italian mathematics was not suffering any harm (sic!) if Levi-Civita (and some other Italian mathematicians of Jewish origin) was removed from his chair. This chair was immediately occupied by Antonio Signorini, one of the pupils of Levi-Civita. Signorini had been always supported by Levi-Civita during all his academic and scientific career and can be considered a continuator of Brunacci-Piola lineage. How strict is the relationship between differential geometry and continuum mechanics: it is so strict that, often, it has been written that any field theory actually is a particular exercise in differential geometry. Levi-Civita personally played a crucial role in discovering this relationship. The great heuristic value and systematizing role of Riemannian geometry in physics. In particular, the concept of parallel transport in differential manifolds and the unicity of the parallel transport compatible with a Riemannian metric (the so-called Levi-Civita Theorem) play a crucial role in the formulation of many mathematical models. One can find the deep roots of the concept of Ricci and Riemann tensor already in the works by Gabrio Piola (recall also the well-known concept of Piola’s transformation; see [peridynamics]), who can be regarded as one of the precursors of differential geometry. The crucial role of the concept of constraints in mechanics. Ulisse Dini’s theorem clarifies mathematically this concept, which had been systematically used in the works of Piola. The fundamental concept of independence of a set of constraints was made completely rigorous by Dini several decades after Piola had proven its importance in continuum mechanics and was crucial in many of the works by Levi-Civita. It is difficult to give a fair judgment about the behavior of Italian mathematicians when they accepted (sometimes enthusiastically) the application of racial laws. A precise assessment of the responsibilities of many «arian» mathematicians can be obtained by reading the careful and well-documented book (Israel, 2010). Referring to it for a precise quotation of the sources, we recall here that, when talking about the removal of Levi-Civita, Federigo Enriques, and Guido Castelnuovo, the powerful academician Mauro Picone wrote in a letter: «Urge che gli scienziati di razza ariana collaborino il più attivamente possibile per mostrare come la scienza possa egualmente progredire anche senza l’ intervento giudaico». This statement we translate as follows: «It is urgent that the scientists belonging to the arian race collaborate as actively as possible to show how science may equally progress even without the judaic participation». It is also well-documented that Francesco Severi and Enrico Bompiani had a similar attitude. After the war, Picone succeeded to avoid any consequence for his behavior. Moreover, in 1946, while talking to commemorate Guido Fubini, Picone did not hesitate to lash out at «gli stolti, infami provvedimenti razziali» i.e., «the reckless and infamous racial laws», forgetting that he had, during the fascist epoch, enthusiastically supported them. On the contrary, in 1946, he defined these laws an «eternal shame». Later, in 1958, writing the eulogy of Guido Ascoli, Picone managed to do better. He wrote: «La sua vita universitaria ebbe, purtroppo, dal 1938 al 1945, ben sette anni di dolorosa interruzione, a causa di quegli insensati provvedimenti razziali che privarono l’Italia, in quel lungo difficilissimo periodo, dell’ opera preziosa di cittadini di altissimo valore morale, spirituale ed intellettuale» i.e., «His academic life had, unfortunately, between 1938 and 1945, seven long years of painful interruption, because of those senseless racial laws which deprived Italy, in that long very difficult period, of the precious work of citizens whose spiritual, moral and intellectual values was the highest possible». Permettimi di esprimerTi, con tutto l’ animo, l’ augurio che il prossimo anno possa essere per Te molto più lieto di quello che sta per terminare. Io sono ancora molto frustrato dagli avvenimenti recenti e mi domando, con viva apprensione, se verso di Te non ho mancato accettando l’ offerta del gruppo matematico romano. Ormai l’ inizio delle lezioni è fissato per il 10 gennaio, quantunque fino a stasera io non abbia alcuna notizia ufficiale del trasferimento. Passerò il Capo d’ Anno a Arezzo, donde ormai manco da vari mesi. Ti prego, anche da parte di mia moglie, di voler partecipare alla Tua gentile Signora i più devoti e cordiali auguri. (Naples December 30th) Dearest Maestro, Let me express You, with all my soul, the wish that next year could be for You much more joyous that the year which is close to end. I am still very frustrated by the recent events and I ask myself, with acute apprehension, if I did fail in my duties towards You when I accepted the offer of the mathematicians’ group in Rome. By now the beginning of the lectures has been fixed for January 10th, even if, up to tonight I had no official communication about my transfer. I will spend the New Year’s Day in Arezzo, which I did not visit for many months. Please, also on behalf of my wife, convey to Your gentle Spouse my devoutest and kindest regards. Cyclically, in human societies, the following peculiar phenomenon is observed: the loss of awareness of the very strict connection between «abstract» and «theoretical» science with technology. As the most abstract and theoretical science is mathematics, it is obvious that the first scientific discipline whose utility is questioned in the cycles of cultural regression is exactly mathematics. Abstract mathematical results and mathematical ideas, as those obtained and conceived by Levi-Civita, have an impact which is difficult to assess and appreciate, without a technical knowledge of several different abstract mathematical disciplines. Moreover, their technical difficulty may mislead also the most educated mathematician, if his background does not include some specific parts of mathematical knowledge. The absolute tensor calculus and differential geometry represent striking examples of mathematical theories whose importance is periodically questioned and often openly discussed. However, in our opinion, they represent the most important legacy that Italian mathematics and, first of all, Levi-Civita has left to the human knowledge. Before briefly discussing with some well-grounded arguments, these contributions let us indulge, and in this we follow the modern fashion, in presenting some bibliometric-type rough estimates of the impact of Levi-Civita contributions to science. In what follows we list the search string and the corresponding number of results as given by Google on 22 January 2019. “Levi-Civita connection” 102,000 results; “Levi Civita symbol” 34,200 results; Google book “Levi Civita” 243,000 results; Google Scholar “Levi Civita” 75,800 results, “Levi Civita field” 11,300 results. If one considers the great conceptual difficulty involved in the ideas and methods elaborated by Levi-Civita, these results are astonishingly high, by themselves. The opinion expressed by Einstein was not shared by many of the Levi-Civita contemporaries and also by many scientists nowadays. Indeed many do not believe that the abstraction required to use the absolute tensor calculus is justified by the obtained results, as these last can be deduced by classical and simpler procedures. Indeed, even if, in principle (see dell’Isola et al. 2016; Auffray et al. 2015), all results which are obtained by using Levi-Civita methods can be obtained without them, the decision of renounce to their use may multiply enormously the computation burden. A typical example in continuum mechanics is given by the formulation of higher gradient theories: by using Levi-Civita’s absolute tensor calculus, the final equilibrium (volume and boundary) conditions (see the entry about higher gradient theories) are easily computable and can be physically interpreted, while without its use, Gabrio Piola could obtain, after hundred pages of calculations, only partial results whose interpretation was very difficult. We have found, in the context of the formulation of generalized continuum models, particularly enlightening the paper (Germain, 1973) by Paul Germain. In this paper, the methods of functional analysis are applied to give a more precise framework to generalized continuum mechanics. However, in this aspect, those who have read the works by Gabrio Piola will agree that Piola had caught the most relevant ideas of functional analysis in a rather precise way. Instead, Piola was only one of the founders of the Italian lineage who was bound to produce the absolute tensor calculus: his short life ended before he could start developing even the most basic concepts of it, although he was well-aware of the demands of continuum mechanics which urged to do so. Only in his posthumous work (edited by Brioschi, see dell’Isola et al. 2014), Piola started formulating some notations which are anticipating the Ricci-Curbastro and Levi-Civita methods. Germain’s big advantage with respect to Piola consists in his mastering of Levi-Civita’s absolute calculus, which he appreciated in the version given, for the French school, by André Lichnerowicz. Germain can classify the tensor components, as covariant and contravariant. He can identify contravariant components with covariant ones via a Riemannian inner product, and, finally, he can distinguish displacements as contravariant vectors and forces, related via a duality in virtual work, as covariant vectors. This mathematical structure allows Germain to reflect in his modeling procedure the different role of different vectorial quantities. Levi-Civita’s index notation allows for an immediate understanding of the nature of considered tensorial quantities and avoid any misunderstanding in the process of saturation of components. In this aspect we find that the presentation of continuum mechanics proposed in Truesdell and Toupin (1960) is much more effective than the one used in Truesdell and Noll (2013). Indeed in this last textbook, an effort, in our opinion not always successful, to improve Levi-Civita’s notation is made: unfortunately, the absence of an explicit distinction between contravariant and covariant tensor components and that of an explicit components saturation rule can be very often misleading, especially when tensors of order higher than two are to be considered. Tensor calculus, after the Second World War, became established only in some groups of researchers in continuum mechanics and applied mathematics. As a matter of facts, the abstract concept of tensor has been used systematically and successfully in many fields among which we recall elasticity, magnetism, the theory of heat, electrodynamics, quantum mechanics, and general relativity. Many other groups, instead, prefer to continue, rephrasing Einstein, to «make their way laboriously on foot». To understand better the attitude of Levi-Civita toward scientific problems, it has to be remarked that the correspondence with Einstein was started by him and his motivations were rather serious. Indeed, while he believed in the fact that the theory of Einstein was fundamentally correct, he had found some mathematical errors in Einstein’s use of tensor calculus while formulating the theory of relativity. It is evident from the content of the numerous letters exchanged between them that the two scientists had a great reciprocal esteem and that their aim was simply to understand the real structure of the mathematical theory which they were developing. Levi-Civita always remained faithful to his internationalist ideals. These ideals became stronger after the First World War (Nastasi and Tazzioli, 2013). Immediately after the conflict, he wrote to Arnold Sommerfeld (1868–1951) on December 9, 1920: “I have always been, not only in science, a convinced internationalist, and, on the basis of this ideality, I consider au dessus de la melée all nationalisms without any distinction, including those preceding and following the horrible war that devastated Europe so disastrously.” Unfortunately In the period following the First World War, the European scientific community, isolated from that of the United States, was still divided between the Allies and the former Central Powers. The internationalist commitment of Levi-Civita in the postwar period is therefore to be considered particularly outstanding. Willing to apply his ideals into practice, he was the organizer, together with the director of the Institute of Aerodynamics in Aachen, Theodore von Kármán, of an international congress on fluid mechanics and its applications which was held in Innsbruck in 1922. In the words of Levi-Civita, the congress was to be understood as a “personal initiative of some scholars” and to be “quantitatively very limited, qualitatively as international as possible.” Despite the efforts of the organizers, among the Allies, only few Italians participated, all close to Levi-Civita. The other participants came from the former Central Powers and from the neutral countries. Despite the partial failure, Levi-Civita did not stop his efforts. He contributed to organize a second international congress 2 years later, in Delft. The project was possibly even more ambitious, because it was no longer limited to fluid dynamics and aerodynamics but extended to the entire field of applied mechanics. This time the congress, held in April 1924, proved to be a success: more than 200 scientists were participating, including the Belgian Baes and the Soviets Friedmann and Keller. A further example of the postwar internationalist commitment of Levi-Civita must be mentioned. Since 1924, United States has played a central role in international scientific cooperation through the substantial funding of the Rockefeller Foundation. In the 1920s, Levi Civita was the main Italian interlocutor of the Rockefeller Foundation. It is in fact due to his work that Rome became one of the main centers of mathematical research in the world, the third after Gàttingen and Paris, in the ranking made by the mathematician George D. Birkhoff in a letter to Augustus Trowbridge who worked in Europe for the Rockefeller Foundation. Many foreign students came to Rome to study with Levi-Civita, Volterra or with the famous Roman group of algebraic geometry made up by Guido Castelnuovo, Federigo Enriques, and Francesco Severi. The personal commitment and efforts of Levi-Civita in the training of younger scientists, therefore, were not limited to the selection and formation of the best Italian brains of the generations ripening in the first part of the twentieth century: he treated on the same grounds everybody who deserved and desired his guidance independently of his nationality. He was one of the most eminent professors in Italy for 40 years and attracted students coming from all countries, whom he encouraged with patience and nobility. Kindness and modesty were manifestations of his soul. Many people benefited from his kindness and retained an ineffaceable memory of his extraordinary personality.